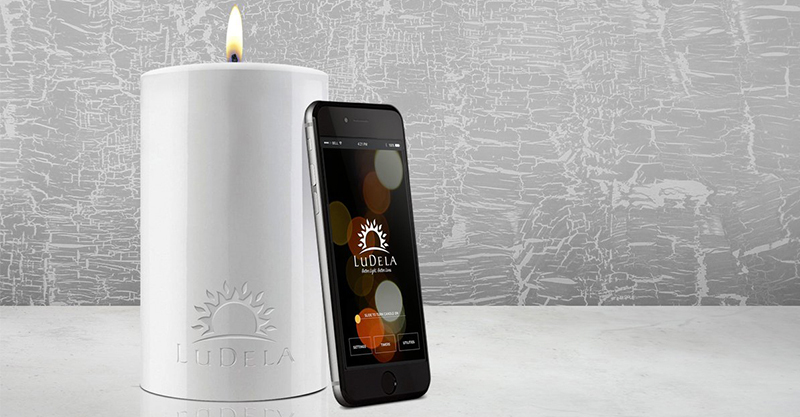 The clever folk at LuDela are revolutionising the way we use candles, making them more sweet smelling, safer and smarter than ever before. No more melted wax, smoky flames and stubborn wicks, everyone! Jamie Bianchini is the genius behind these disruptive and fragrant candles, and he says his own experience prompted him to invent a better candle. Through all-new WiFire (!) 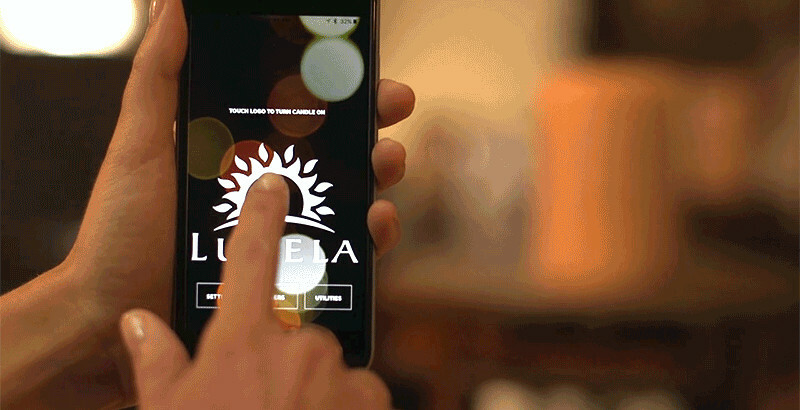 technology the LuDela smartphone app can light, extinguish, and control multiple candles with the tap of a screen. Jamie’s set to launch what he’s dubbing “the world’s smartest, safest, most perfect real flame candle” and honestly we totally agree with him. safety features that reduce fire danger by extinguishing the flame if it’s tipped over by pets, kids or someone that drank quite a lot of rose. The candles also feature a refillable inner reservoir of fluid that keeps the candle burning, on-trend outer ‘shells’ that you can switch out to change the look of the candle and natty snap in fragrances so you can breathe in your chosen scent-on-demand. Not only are these candles brilliant due to all of the above, they come with their own social conscience too. “We’re using this patented innovation as a vehicle to illuminate the minds of children,” Jamie told us. For every candle product sold, LuDela will donate a book to underserved communities and spark a global literacy movement. “Our mission [is] to bring Better Light, Better Lives worldwide,” Jamie explains. Funds from the candles will also be directed towards delivering solar lighting to disadvantaged communities (who may currently be using dangerous kerosene lamps). The Kickstarter campaign launches on 17 July and promises to bring much more clever candles – and books – to the world.